Following a record year for production in 2018, Boeing has announced plans to increase 797 production for 2019 to 14 aircraft a month. This is up from the previous 12 per month output, and the uptick will lead to around 160 new Dreamliners being delivered over the course of the year. Revenues for 2018 topped $100bn for the first time ever, but the boom is not over for the plane maker. Predicting revenue of at least $109.5bn for this year, Boeing’s boosted 787 production target is testament to the popularity and profitability of this aircraft. To achieve this higher level of 787 production for 2019, Boeing have already started ramping up their output. 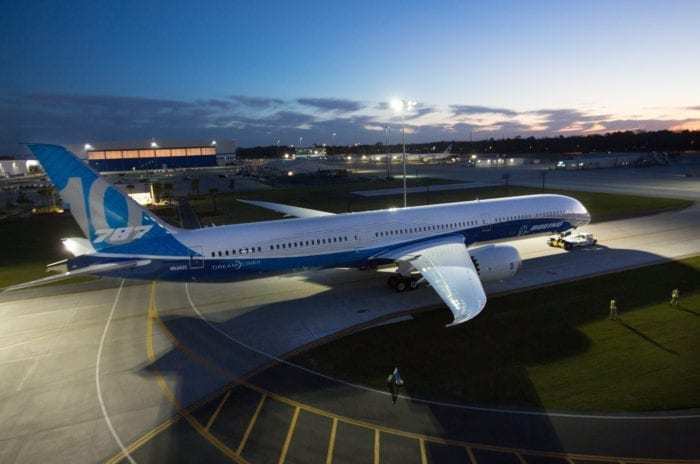 The expect to hit the 14 a month 787 production target by the second quarter, as revealed in their recent earnings call. 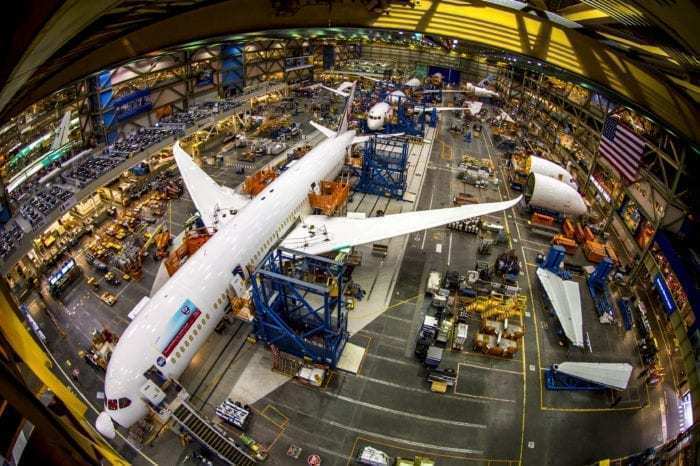 How will Boeing increase 787 production? It’s not only the 787 production target which has been ramped up. All models have higher targets set for this year, so more capacity in the Boeing factory is needed. Boeing hired more than 34,000 new employees in 2018, although this is a gross figure and doesn’t account for the number leaving or retiring from the company. The company’s North Charleston campus began preparing for a 787 production target boost in 2018 and plans to hire hundreds of new employees to support 787 production for 2019. 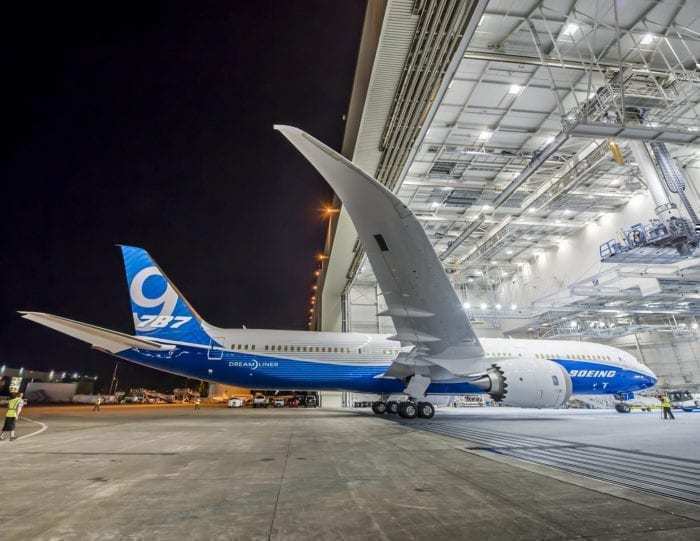 Undoubtedly new factories and new employees will help Boeing increase 787 production, and as one of their most profitable aircraft, increasing the 787 production for 2019 makes business sense too. As Boeing surpass certain milestones with component supply orders, they can negotiate for lower costs on these purchases, making the 787 production target cheaper to achieve. When Boeing built the 787-8, design issues meant the aircraft never really broke even. As they’ve moved on, the 787-9 began to turn a profit. The 787-10 shares much commonality with the 787-9, so it’s even cheaper to manufacture, and is likely to be the most profitable Boeing model to be produced this year. Aviation analyst, Uresh Sheth, has predicted that Boeing will produce just 10 787-8s will be produced this year. Production will focus on the later models, he predicts, with around 120 787-9s being built plus around 34 787-10s. The news of Boeing’s increase to 787 production comes on the back of the best year in history for the plane maker. Their net profit in 2018 soared to a record high of $10.5bn, up 24% from the year before, putting them ahead of Airbus in revenue and production. It wasn’t all plain sailing for Boeing, as issues with supply chain delivery as well as problems meeting their 737 production targets left many creases to be ironed out. But iron them out Boeing did, and succeeded in beating their previous records for aircraft manufacture. 2019 is shaping up to be another record breaking year too. As well as increasing 787 production for 2019, Boeing plan to ramp up their delivery of other models too. They have said they expect to deliver a total of 895 to 905 commercial aircraft throughout 2019, an ambitious 12% increase from the 806 delivered this year. It’s the biggest jump in production targets for many years, the last biggest jump being in 2012 when they delivered 601, up from 477 the year before. Last year was the first time they’d produced more than 800 aircraft, so an estimated target of 900 is going to be a tough challenge for the plane maker. 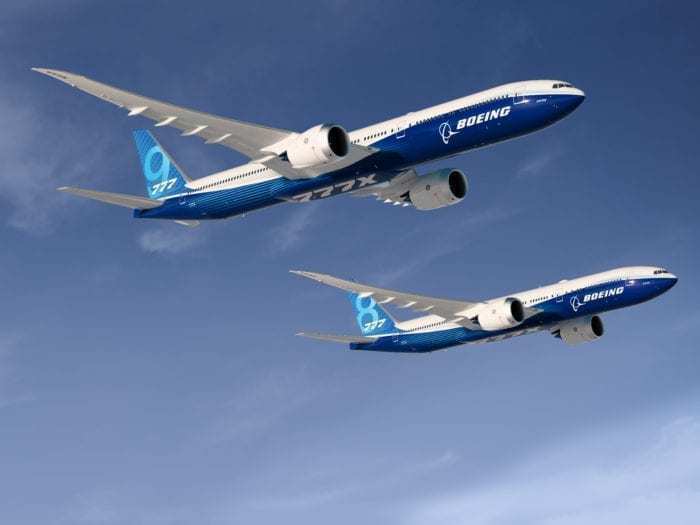 Although Boeing are reporting a steady stream of orders for the new 777X, and are due to unveil an NMA aircraft, the 797, later this year, 2019 is not without its own share of challenges. 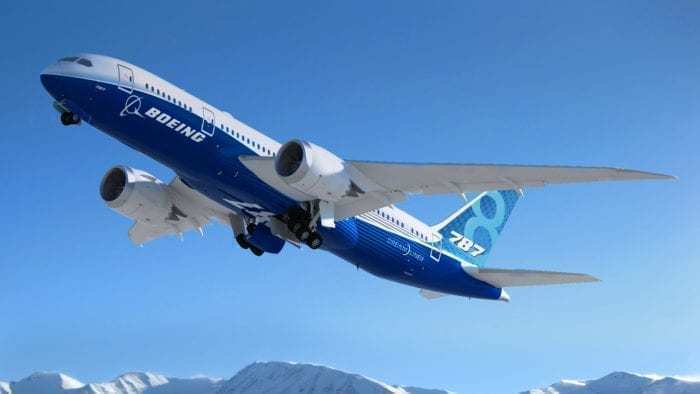 Boeing are particularly reliant on the Chinese marketplace for sales of new aircraft, and continuing trade tensions between the US and China casts a shadow of uncertainty. Added to this, problems still persist with engine deliveries, causing more 737 MAX jets to, once again, stack up around the Renton factory. Chinese airlines currently take around a quarter of all Boeing deliveries, so US-China trade tensions are high on the agenda too. Muilenburg said that he was confident of good results in the long term, as worldwide passenger traffic growth continues to be strong, despite geopolitical factors. “I can tell you, having been intimately involved in the discussions and engagement with the governments both in the U.S. and China, we see progress on that front,” he said. Although there is likely to be a lull in Chinese orders until trade negotiations are satisfactorily resolved, Muilenburg showed complete confidence that this would be a temporary blip. 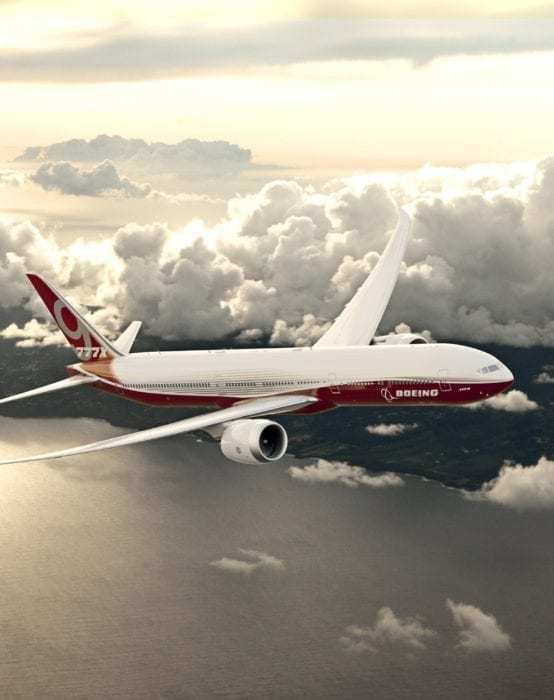 With a decision on the 797 expected in this quarter and the 777X due for test flights in the summer, we’re looking forward to seeing what Boeing manage to achieve throughout the year.